Already on a couple of mail boxes located on one of the qmail powered mail servers I adminiter, there is an over QUOTA reached problem encountered. Filling up the mailbox quota is not nice as mails starts get bounced back to the sender with a message QUOTA FULL or EXCEEDED MESSAGE, if this is a crucial mail waiting for some important data etc. the data is never received. 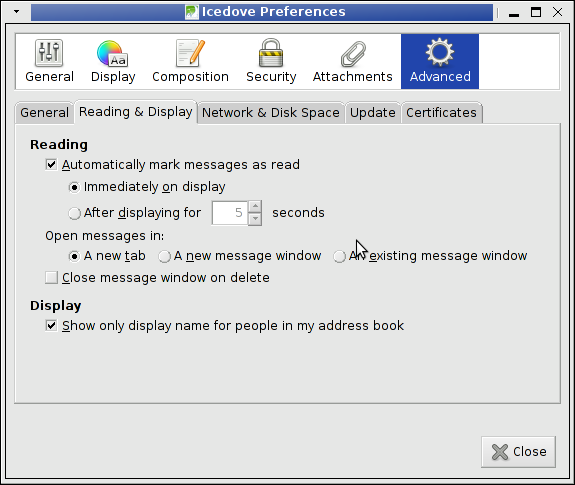 to receive mail you need to remove some messages from your mailbox. The mail reaching quota problem is very likely to appear in cases like low mailbox quota set, but sometimes also occurs due to bugs in vpopmail quota handling. Various interesting configuration settings for mail quotas etc. are in /home/vpopmail/etc/vlimits.default file, (assuming vpopmail is installed in /home). In my specific case, the default vpopmail mailbox quota size was set to only 40 Megabytes. 40MB is too low if compared to todays mailbox size standards which in Gmail and Yahoo mail services are already a couple of gigabytes. Hence to get around the quota troubles, I removed the quota for the mail. To save myself from future quota issues, I decided to apply a permanent fix to all those over quota size VPOPMAIL mailbox problems by removing completely quota restriction for all mailboxes in my vpopmail existent mail domain. This works only on vpopmail installations which are configured to store the mail messages directly on the filesystem. Therefore this approach will not work for people who during vpopmail install had configured it to store mailboxes in MySQL or in other kind of SQL db engine. Anyways for Vpopmail installed to use SQL backend, the script can be changed to read directly a list with all the mailboxes obtained from databasae (SQL query) and then, loop over each of the mail addresses apply the vmoduser -q NOQUOTA mail@samplemaildomain.net. I've written also a few lines shell script (remove_vpopmail_emails_domain_quota.sh), it accepts one argument which is a vpopmail domain to which the admin would like to reset all applied mailbox quotas. The script is useful, if you have to often remove all quotas for vpopmail domainsor have to do quota wipe out simultaneously for multiple email domain names located on different servers. 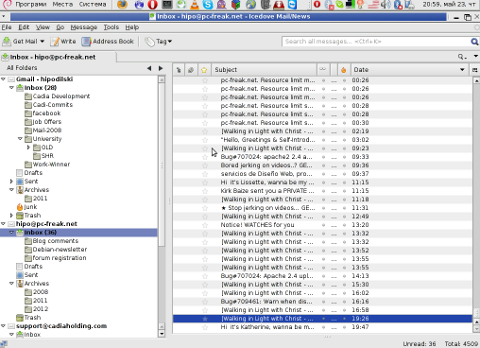 In that reason I always need to take a close look on Email headers to try to isolate email issues. Thus I decided to explain shortly here how one can check full email headers in Gmail and Yahoo public mail services in order to be able to later derive conclusions on what is wrong with his mail server outgoing messages. It’s pretty easy, though for some reason Google decided to place the button which shows the complete email message headers in a I would say not too user friendly location. To view email headers, login to Gmail, click over some random email in Inbox or some of the other mail folders. Once you can read the email and you see the Reply button located on the right,next to the Reply button there is the down triangle which while pressed will display a menu. To view the full email headers one has to press over the Show original button presented in the menu. Below you see a sample screenshot on the menu with the Show Original button. I use Yahoo Mail Classic, as I like old stuff, Checking the full email headers there is a bit more intuitive than with Gmail. To check email headers, just login to Yahoo mail, click over inbox, select an email message you would like to review as text. Further on after the end of the email, you will see the Delete, Reply, Forward, Spam and Move buttons, right below this field of buttons there is the Full Headers blue text link with very small letters. Here is a screenshot I’ve made of a sample opened mail. On the screenshot in right bottom you see the blue Full Headers button. One small note to make here is that the View source headers buttons is currently not working on Epiphany browser running on Linux. As always Microsoft are making stuff incompatible, if it’s not used with a Microsoft product .. 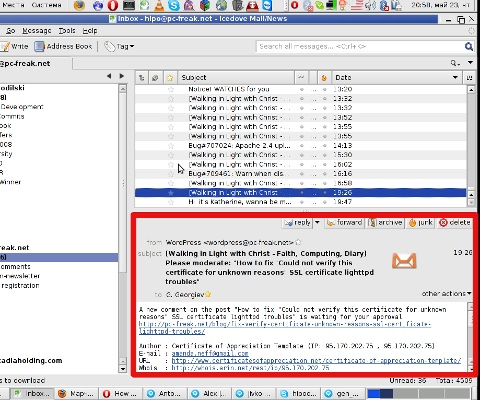 Recently the Emails sent by one of the Qmail mail servers running on a Debian host started suddenly delivering in Spam folder in both Gmail.com and yahoo.com public mail services. This is pretty nasty as many of the websites which used the local qmail server to deliver emails concerning subscriptions and other kind of services provided by the websites started ending in Span and thus many of the users who used their Yahoo Mail account and Google Mail – gmail accounts was unable to read emails mailed by the various websites forms and scripts which were sending emails. You can imagine the negative effect all this “minor” mail issues had on website visitors count and the overall websites functionality. To come up with some kind of solution to this mail issues, I did quite a lot of research to understand if Yahoo and Google Mail services has some kind of mail server delist form or some reporting service where one can delist a specific mail server as a spammer one or get some kind of help, but unfortunately it seems neither google nor yahoo has any kind of web based way to remove hosts or ip addresses of legit mail servers who has mistakenly been recognized as spam servers. During my efforts to find a solution to the situation I red a lot of posts and forums online as well as Google’s Bulk Sender Guidelines, none if it was too helpful though. The only thing which was missing on the mail server (checked against Google’s Bulk Sender Guidelines) was a properly configured DKIM and Domainkeys. There are few ways domain keys signing can be implemented with Qmail. I wanted to omit any interventions concerning the well running qmail install so I decided not to go this way. Plus there are plenty of add-ons for qmail and as I have no time to test them the idea not to temper the existing qmail installation looked wise to me. This kind of solution was fitting me better and therefore I took this route to enable my qmail DKIM signing. Use a bash shell script wrapper in combination with libdomainkeys‘s with a Mail-DKIM-0.39 . I gave a try to this approach and thanksfully it worked after a bit of struggle to tune it up. Where mydomain.com is the mail domain I need the DKIM signatures for. The above key is used in next step 5 to set it as a TXT DNS record. _domainkey.example.com. IN TXT "k=rsa; t=y; o=-;"
! The above p= key specified is the one generated in step 5. Note that the dkimsign.pl which is in the Mail-DKIM-0.39 is a very important tool used later by the qmail-remote wrapper script. This perl script is copied in the last command issued in above chunk of code. In the up-command lines I use my unprivileged username hipo to compile, here use any non-root user is appropriate. For instance it’s possible that the cpan user is used as a compile time user, I was lazy to configure CPAN thus I choose to use my normal unprivileged user. Another thing to do here is to make sure the /usr/local/bin/dkimsign.pl which was just recently installed has a correct set location for it’s KeyFile variable. There is a note to make here, one of the programs part of libdomainkeys called dnstest is not compiled while doing make for unknown reasons?! I have absolutely no clue why it fails o_O, but it doesn’t matter since I figured out that domainkeys header signature is properly set even without dnstest. The above install will install libdkimtest binary, used by the wrapper script to do the actual DKIM-Signature, the binary gets installed in /usr/local/bin/libdkimtest. Originally the wrapper script is taken from http://www.memoryhole.net/qmail/, big thanks to Russ Nelson for writting the awesome wrapper script. The idea for writting this small guide on configuring Domainkeys with Qmail and Linux is seriously inspired by Mariuz’s Blog post dkim wrapper that works using dk Hope this is helpful to somebody, it took me quite a while until I come up with the exact steps of a workable install of Domain Keys, there are so many tutorials and ways to implement this that at a certain point it’s a hell. I’m very much looking to hear if people followed the tutorial succesfully. Any feedback concerning the article is mostly welcome!